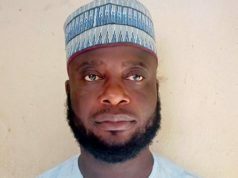 Sheikh Jami’u Tirmidhi, Chairman, Committee of Expert, Zakkat and Sadaqat Foundation, Nigeria, on Friday says salary earners are eligible to pay Zakkat from their monthly earnings. He said this at a sideline of Zakkat Awareness Workshop held at the Ahmadu Bello University Teaching Hospital (ABUTH), Shika, Zaria, Kaduna State, where he presented a paper. The theme of the workshop is: “Zakkat Calculation and Payments by Salary Earners”. NAN also reports that the workshop was organised by the Islamic Medical Association of Nigeria (IMAN), ABUTH, in collaboration with Zakkat and Sadaqah Foundation, Lagos. Tirmidhi described Zakkat as the third pillar of Islam which Allah (SWT) levied it upon the righteous Muslim believers wealthy enough to pay, adding however that the wealth must reach the minimum “nisab”. Citing references from Qur’an, Hadith, Fiqh, companions of the Holy Prophet and other relevant Islamic books, the cleric opined that there were Nigerians with huge salaries that if put together after basic expenses would be up to “nisab”. He said that the wealth reaches the minimum that is “nisab” is 20 Dinar gold value according to Hadith of the Holy Prophet (SAW). “Or 85 grams of gold or equivalent of that in Naira value is now about N1,070,000 in the North and about N1,054,000 in the South, if one is having that value obligatorily, he must pay as a Muslim. “This cut across all amuwal (wealth) according to Almighty Allah in Sura Tauba verse 103, where He says: ‘Take from all their wealth (Sadaqa) an obligatory portion’ that is Zakkat, the third pillar of Islam. According to him, Hadith of the Holy Prophet (SAW) says “pay Zakkat from all your wealth”, adding that this is in exclusion of no type of wealth. “That is why Zakkat is paid on items like gold which is a mineral resource according to Qur’an 2 verse 267, ‘Give out Zakkat from that which you gain from your means of livelihood and from that which we bring forth for you from the soil. “In the Hadith of the Holy Prophet, there is what is called ‘Rikaz’ whatever happens to be the wealth taken from the soil or buried treasure take a portion of one over five (1/5). “We also read from Books of Fiqh in accordance with Ibn Kudama in his Mugny volume three when he was talking about Zakkat. “Commenting on that verse Qur’an 9:103 ‘Al-Amuwal’ (wealth), he mentioned over 700 years ago that Abdallah Bn Mas’ud, a companion of the Holy Prophet (SAW), would give salaries to workers and collected Zakkat on it immediately. “It is also read about Mu’az Bn Jabal that he collected same, likewise Mu’awiyya, one of the celebrated rulers of Umawiy dynasty and global leader for the Muslim community in those days during the classical caliphate. He also gave reference to Ibn Huthaimim, Dr Yusuf Qardawi, Kaitanja Ma’assassus Zakkat as well as the conference document of 1994 for the Global Union of Zakkat Right and the second World Conference of Zakkat. 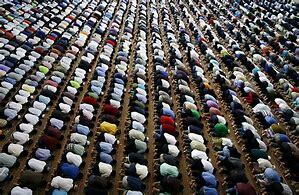 Tirmidhi explained that what was operative in the world of Zakkat today cut across Saudi Arabia, Kuwait, Egypt, Palestine, Yemen, Sudan, Indonesia, Malaysia and others, amounting to about 43 Muslim countries, came together and reached a consensus that they collect Zakkat on salaries. On how would a salary earner pay Zakkat, he advised Nigerian salary earners not to contend the Zakkatability of their salaries. “Because as while we have those who are low salary earners, we also have those who are extremely high salary earners; we are having some people who are being paid about N7,000 to N18,000 on monthly basis. “We also have some with about N5 million to N23 million on monthly basis, these are big salary earners and in accordance with Hadith of the Holly Prophet collect from those who have and give to those who have not. “Hence, those who are collecting big salaries could afford their basic financial obligations easily and still have excess which will be more than nisab estimatedly when you look at their resources. “Therefore, these category of people are Zakkatable, they should pay their Zakkat,” he admonished. 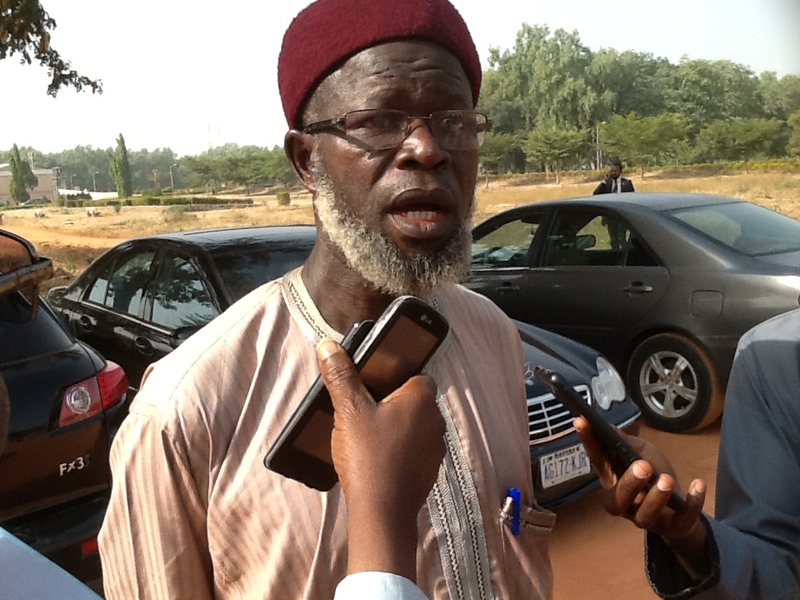 He appealed to Muslim salary earners who have excess of their salaries amounting to Nisab (not least of N1,070,000) to endeavour to pay Zakkat. The cleric identified three options of payment to include pay from the gross income per annum, once at the beginning of the fiscal year, and once at the end of the fiscal year or on monthly basis for onward benefit of the poor and the needy.